Disgraced former Paterson, New Jersey, Mayor Joey Torres' application for an early prison release has been rejected, state officials. The mayor, who was convicted of corruption charges late last year that were sparked by an I-Team investigation in 2016, won't be eligible for parole until early 2019 after his application for release under the state's Intensive Supervision Program was rejected. A state courts spokesman didn't elaborate on the reason the application -- which could have allowed the former mayor to get out of prison after just six months -- was rejected. Torres served five terms on Paterson's City Council before he was elected mayor in 2002 over incumbent Martin Barnes. Barnes pleaded guilty and went to prison for charges stemming from a kickback scheme. Torres was sentenced Tuesday to five years in prison with no chance of parole. The embattled politician resigned in September as part of the plea deal and agreed to never again seek public office. He also owes thousands in restitution over the scheme to steal from taxpayers by ordering city workers to do construction on a relative's would-be beer business. 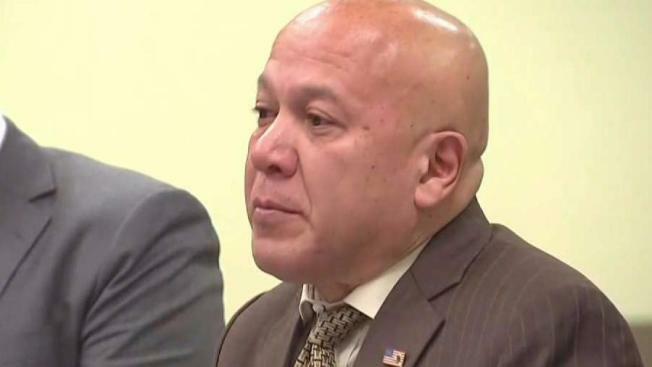 Torres accepted the deal after Paterson Department of Public Works supervisors caught on camera doing work for the now-former mayor's family also accepted plea deals and agreed to cooperate with prosecutors. The three DPW workers -- Timothy Hanlon, Joseph Mania and Imad Mowases -- also forfeited their jobs with the city and are permanently barred from public employment. They were each sentenced Tuesday to a three-year term of probation. Torres initially denied any wrongdoing and vowed to fight the charges. His March arrest came after a series of I-Team stories that appeared to show city employees doing private jobs for him, from washing his scooter and building bookshelves to doing construction at his nephew's would-be beer business.